For a new home set on 4 acres in beautiful rolling hills, we first improved some existing features. 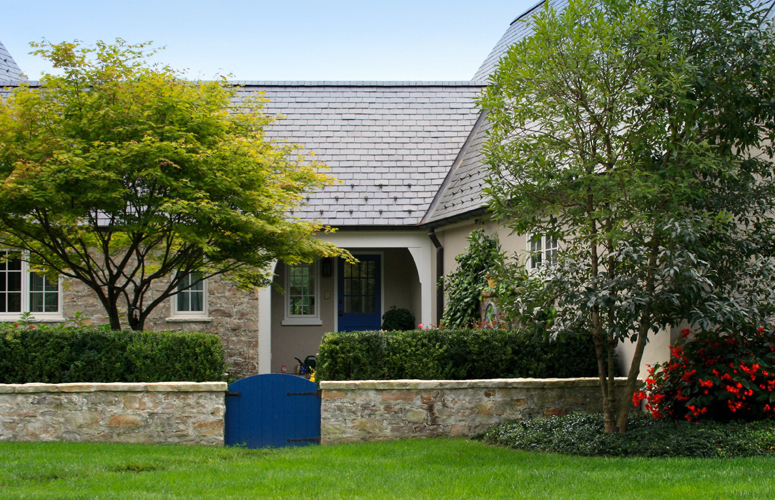 Working closely with the owners, we re-configured the permeable gravel driveway by aligning it with the house, simplified the short front walk by removing its curves, and softened a courtyard by removing most of its stone paving to make way for plantings. In the back, we added a wall to the swimming pool for privacy and framed views by transplanting trees. 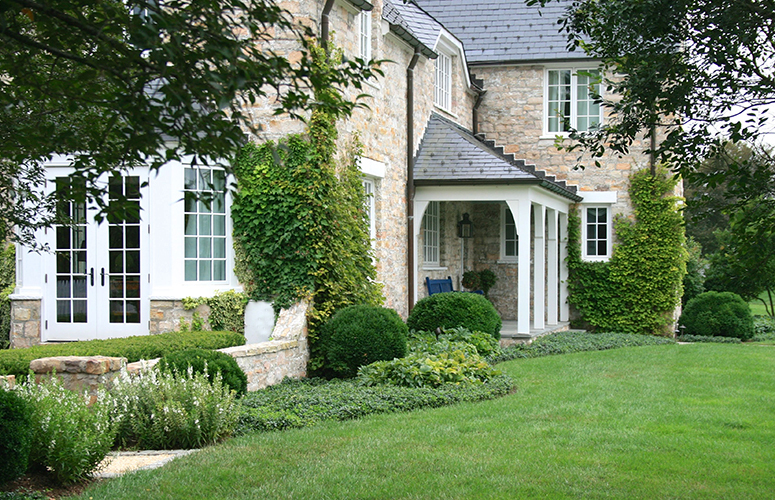 Then, over a period of years, we developed an axially organized, floriferous, traditional garden around the house which dissolves into naturalistic plantings of grasses and native shrubs farther away.